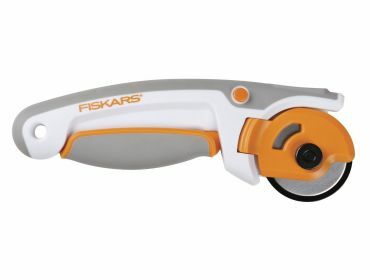 Fiskars 45mm Ergo control deluxe rotary cutter in white and orange. 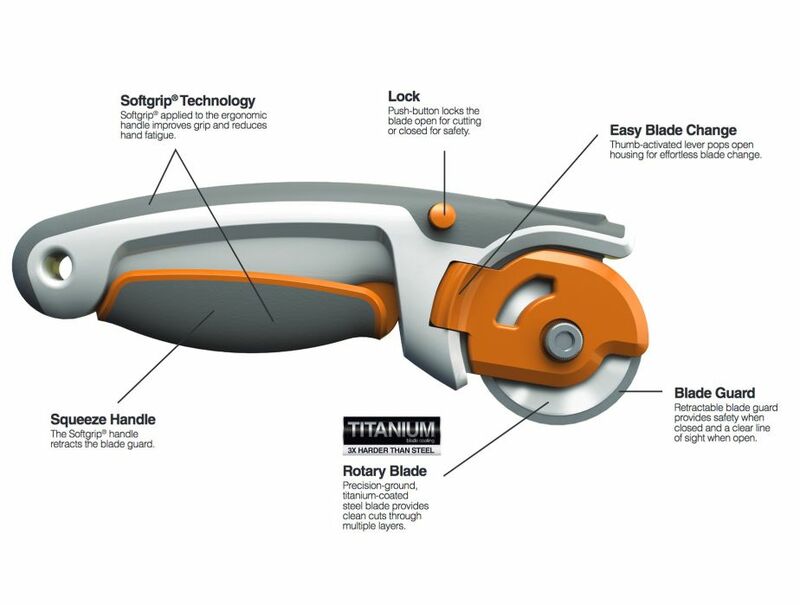 An ergonomically sculpted handle fits your hand comfortably, and a longer handle design than other rotary cutters offers improved control. Slim design offers a clear line of sight to improve the precision of right- and left-handed users. Rotary cutters and cutting matts are the only way to cut latex sheeting that will prevent unwanted tears or rips in the material. 45mm blades cut through multiple layers of vinyl fabrics or other materials in additional to latex sheeting. Fiskars 45mm Rotary Cutter has been added to your cart.